for the best in performance and reliability, choose "the Blue Mag"
SafeTacMag, LLC has developed an innovative, yet simple, M16/M4 5.56 Blue Training Magazine designed specifically to protect lives, prevent injuries, and save the government hundreds of millions of dollars by preventing accidental discharges of live ammunition during military and police simunition training exercises. 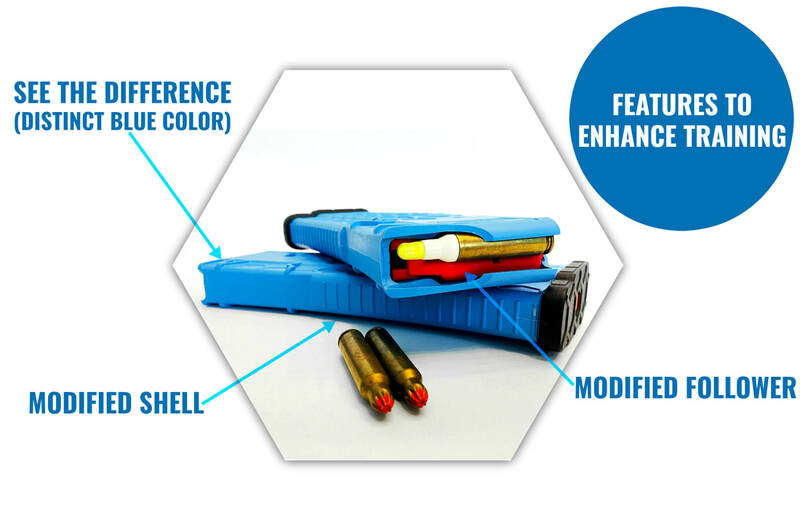 Unlike conventional magazines, which accept both live and force on force ammunition interchangeably, SafeTacMag’s unique and patented training magazine is specifically designed for non-lethal rounds, thereby preventing accidental and negligent discharges of live ammunition. SafeTacMag’s closest competitors require additional and expensive weapon modification, whereas, for roughly the same cost as a regular magazine, SafeTacMag provides exceptional training performance, something no one else can deliver. Why our customers choose the "blue mag"